Our elite team of dedicated social media marketing experts are ready to take your social media to the next level, leaving you free to focus on growing your business. 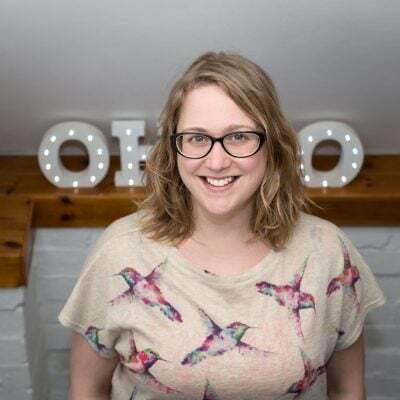 Katherine opened up a new wave of marketing in 2014 when she started Oh So Social, Cornwall’s first marketing agency focusing solely on social media. Having previously worked on highprofile projects for The Dancing on Ice Tour, Team GB and The Spanish Riding School of Vienna, Katherine’s level of knowledge and wealth of experience in social media marketing was in short supply, resulting in the rapid growth of Oh So Social over just a few years. 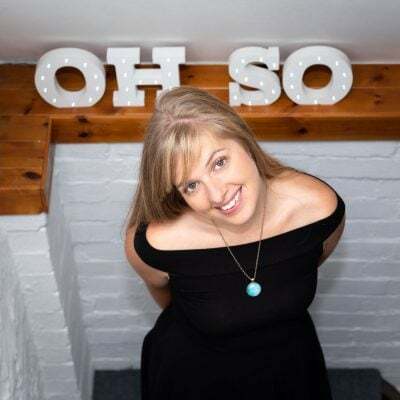 Katherine has developed Oh So Social from its humble beginnings which saw her offering training, help, advice, strategy and management to businesses from her kitchen table. She quickly found that, as people started to see results, they started to invest more – both in her time and in other social media services. 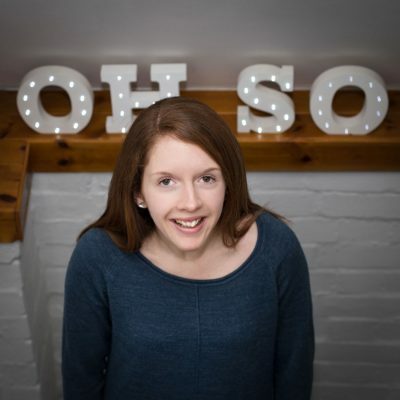 Thanks to Katherine’s success, Oh So Social has now grown to an elite team of social media experts, managing a wide range of clients both in the UK and internationally. Her achievements haven’t gone unrecognised, as she’s scooped a number of awards along Oh So Social’s journey. These include Young Business Person of the Year and being named in Cornwall’s 30 Under 30 list two years running. In 2018 she had the great honour of being chosen by Facebook and Enterprise Nation as one of just 24 social media advisers in the UK for their annual #SheMeansBusiness campaign, which celebrates and provides training for female founders of start-up businesses. A hub of ideas and entrepreneurial vision, Katherine is continually driving Oh So Social forward, developing new services and innovative methods for businesses and individuals to better their social media marketing. A keen equestrian, when Katherine’s not sharing her social media knowledge with businesses across the country she can be found riding her horse or attempting to bake cakes for the office! An experienced operations manager, Joe joined the team to enable Katherine to keep her focus on what she does best: sharing her social media knowledge and developing the company. Joe handles the day-to-day running of Oh So Social. From meetings with new clients and creating bespoke quotes for social media services, to ongoing client management, overseeing the management of the Oh So team, as well as ensuring everything gets done to schedule so our clients and team are happy. Before joining the team, Joe worked alongside Oh So for a number of years at Golden Tree Productions, working together on The Man Engine project and their popular Cornish language events. Joe has had a varied career and, as a writer, storyteller, teacher and experienced project manager, he brings a range of skills to the team. As a project manager he has worked with local authorities, charities and the cultural sector, including transport planning for Transport for London and setting up outreach programmes for museums. An experienced Account Manager, Sophie is most at home creating unique and engaging content for a variety of high-profile clients. With a BA in Creative Writing from the University of Birmingham, Sophie is highly skilled at bringing creative flair to content and campaigns for clients on Twitter, Facebook, Instagram, LinkedIn and many more. Whatever the subject, she has the writing talent to make it really stand out on social media. As an account manager, Sophie is a friendly and knowledgeable point of contact for her clients – whatever the query, big or small, she will have the answer. If you have a last-minute promotion or big news to share, she will make sure you make the most of the opportunity to increase awareness of your brand. If you’re unsure exactly what social media package you need, Sophie will work together with you to pinpoint your goals, target market and budget. She will recommend the best management or advertising package to suit your business, or create a bespoke package of services individual to your needs. 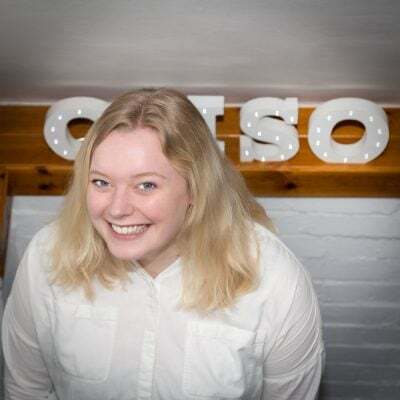 You won’t just find Sophie in the Oh So Social office though, as providing social media coverage of live events for her clients gets her out and about across Cornwall, and beyond! Live-tweeting the Google Women Techmakers South West conference, sharing pasties and smiles on a train to Devon and filming The Man Engine road-trip for the National Lottery Awards are just some of the live events she’s covered. When she’s not adding the finishing touches to a client’s campaign, Sophie can often be found experimenting in the kitchen, trawling the internet for the latest foodie crazes to try or getting creative practising her fiction writing and art. Originally from Berkshire, Sarah manages a wide variety of client accounts across all social media platforms. With a BA in Creative Writing from Falmouth University, Sarah brings an abundance of ideas, compelling copywriting and written flair to her clients’ social media. In fact, Sarah completed a work experience placement at Oh So during her Master’s degree and impressed Katherine and the team so much she was offered the role of Account Executive! With her role at Oh So Social, a baby girl and having recently completed a Professional Writing MA, Sarah is no stranger to multi-tasking. She handles the ever-changing priorities and fast pace of working at a social media agency with ease. Outside of work, Sarah loves nothing more than spending time with her family or exploring the Cornish countryside on her mountain bike. Every great team needs someone behind the scenes who keeps everything running smoothly and efficiently. At Oh So Social we have Lorraine. As a lover of all things organised (and the stationery that comes with it), Lorraine has transformed the internal processes at Oh So Social, streamlined our day-to-day administration tasks and is still coming up with new ideas to increase efficiency. From preparing client contracts, organising meetings, scheduling training and anything else that lands on her desk, Lorraine handles it all, so we can focus on providing expert social media services to you without getting distracted by paperwork. Hailing from Yorkshire, Lorraine achieved a degree in Speech and Language Science, followed by a varied career from Events Management in London to Office Management at a local digital marketing agency. When not keeping us in check, Lorraine uses her eye for detail and organisational skills to run her own proofreading business. Naomi looks after all things social during the evenings, weekends and Bank Holidays for our innovative Out of Hours service. She’s also Oh So Social’s own in-house marketing manager. She has a BA in English from the University of Exeter as well as comprehensive marketing and PR experience across a range of industries including education, retail, tourism and everything else in-between. Naomi has the skills to handle anything from that difficult customer question on a Friday night to combatting those occasional online trolls. Working from home means that Naomi is ready to help with any last-minute requests, such as promoting a special offer for the weekend or participating in a Twitter chat to boost sales for your upcoming event. She will make your social media truly 24/7, allowing you to switch off while being reassured your business’ reputation is in safe hands. After working for several large organisations in Cornwall, Naomi relishes the chance to put her skills to the test for a wide variety of clients at Oh So Social, all with different requirements, target markets and goals. At the same time, as our own marketing manager, she gets her metaphorical teeth into long-term campaigns, events and projects. It’s very much the best of both worlds! When not monitoring your social media accounts, Naomi will be spending time with her family out in the Cornish countryside or on the beach, and being kept busy by a very active toddler!